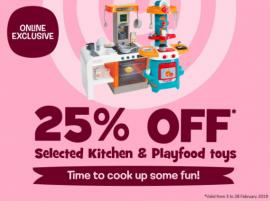 Toys 'R' Us - Get 25% off selected Kitchen Sets & Playfood Toys. 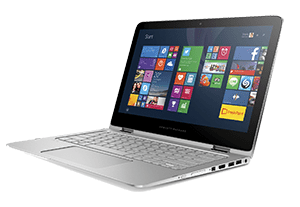 This is available ONLINE ONLY from to 3 to 28 February 2019. Toys 'R' Us - Mega Monday. 25% off everything. Online exclusive. Valid only on 11 February 2019. Toys 'R' Us - Part Sale. 30% to 75% Off. Offer valid from 26 December 2018 to 2 February 2019. Toys 'R' Us - Mega Sale. 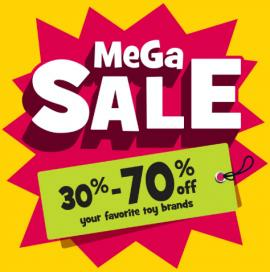 30% to 70% Off your favorite toy brands. The Toy Store - Online Exclusive up to 60% off on selected outdoor items. 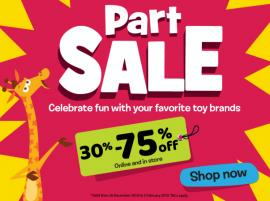 Toys R Us - Get 30% to 75% Sale! 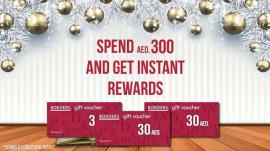 Borders - Spend AED 300 & receive a gift voucher of AED 30. Offer valid exclusively at Abu Dhabi stores only. T&C apply. 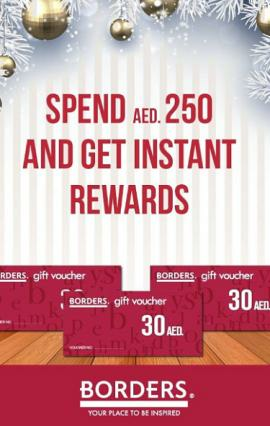 Borders - Spend AED 250 and get a gift voucher valued at AED 30. Offer valid exclusively at Dubai stores only. T&C apply. 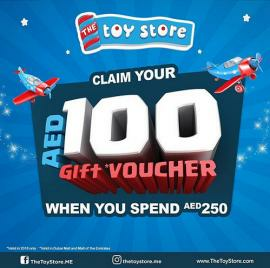 The Toy Store - Claim your AED 100 Gift Voucher when you spend AED 250. T&C apply. 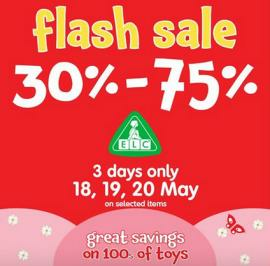 Early Learning Centre - Flash Sale. 30% - 75% off. 3 days only. 18,19, 20 May on selected items. Great savings on hundreds of toys. 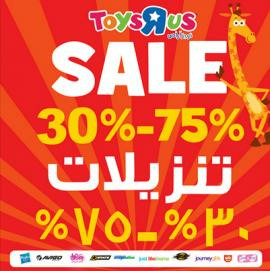 Kiddy Zone - Toy Sale, up to 50% off. Starting from 23rd March till 6th May, 2017. 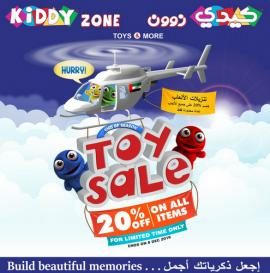 Kiddy Zone - End of season toy sale, 20% off on all items. For limited time only. 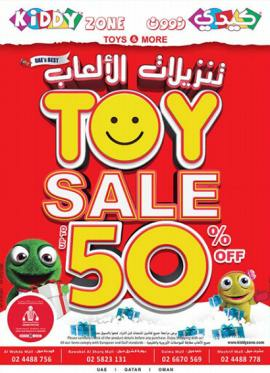 Kiddy Zone - UAE's BEST TOY SALE. Get up to 50% off. 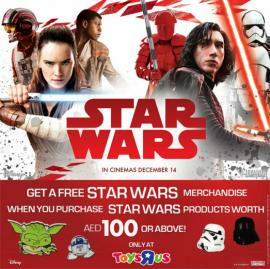 Offer valid in Abu Dhabi Kiddy Zone stores only. TomatoSALE offers you the best deals, offers, discounts and sale for books & toys for children. Buy books, stationery, CDs, study materials, toys, games and more at discounted rates for students and tiny tots. Log on to TomatoSALE to get all these at slashed prices in stores in Dubai, Abu Dhabi, Sharjah and all over UAE. Buy books, CDs, study material, stationery, games, toys, action figures, play things and more for children of age group in various stores in Dubai, Abu Dhabi, Sharjah and all over UAE at discounted prices. Find offers, sale, deals on school books, fun books, puzzles, games, toys, stuffed toys, battery operated toys and more on TomatoSALE. Be the first one to know about these sale and offers and get them before stocks run out or offers are closed. Be privileged to know first hand through TomatoSALE. One destination for all shopping offers for malls, stores, shopping centers anywhere in Dubai, Abu Dhabi, Sharjah and all over UAE.